I was ready to transition the band to in-ear monitors, but we did not have enough aux sends on our mixer for every musician to have their own personal mix. I knew there had to be a low-cost solution, and after a bit of research, I found this post: Low Cost In-ear Monitors. 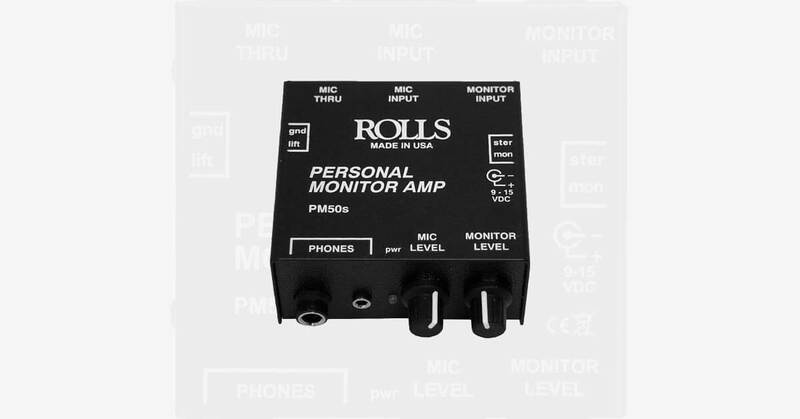 I followed the recommendation to purchase the Rolls Personal Monitor Amp in conjunction with MEElectronics In-ear Headphones and it works well! This headphone amp offers a clean sound with plenty of headroom – regardless of what type of headphones you are using. There are no problems with it not being loud enough and it is super-durable. There are two inputs: one for you monitor mix, and one for your instrument. This allows you to mix in your instrument (or vocal) as loud as you want over the monitor mix without messing with anyone else. I highly recommend the Rolls PM50S! We only have 4 Aux sends on our board for monitors, and we decided to use the Rolls PM50 along with the Rolls PM16 (to distribute the core mix). I have had many guest musicians comment on getting the best overall mix of their life with these products. Plus, each musician can boost their own signal in their in ear without the rest of the band hearing that boost.